Presenting data in an interesting way can be difficult. Charts and graphs can only do so much, but what are the alternatives? There are only so many ways to graphically represent data in an easily understood format without getting super creative, which is why you see so many bar charts, pie charts, stacked-bar charts, dot plots, etc. Because infographics are where data and design intersect, creating something truly arresting and beautiful is going to require a designer. No way around that, unfortunately. But there are free and inexpensive resources that may be able to help you out. One great one is infogr.am, which provides reasonable functionality with its free account. Basically, you enter basic data in a spreadsheet-like tool and choose various infographic treatments of that data, like this. To get more bells and whistles you’ll have to pay, but otherwise you can either share your infogram online or export it for insertion into a slide or other document. Another good resource is freepik, a very deep repository of infographic “templates” that you can modify in Illustrator or possibly just overlay with your own data in something like Photoshop (if it happens to fit). But if you have someone who can just modify a template for you, it will almost certainly be cheaper (or be simple enough to count as a favor) to do that than to create something from scratch. If you get a designer to help you, expect to spend some time with them explaining what the data actually means, to whom it relates, etc. There’s a pretty well-known illustration that shows, infographically, what areas of the body have the most nerves. As you can see, it is much easier to grasp than if the same data were in a chart. Maybe your data shows the number of students in an average class who should be held back, in which case your infographic might look like a classroom. You get the idea. You may get tired of presenting similar data in similar ways, and want to “jazz it up.” But whether you pursue infographics or not depends a lot on the audience. If it’s just in a PowerPoint presentation and it won’t have a long shelf life, you’re probably better off sticking with the tried-and-true pie and bar charts, but then using interesting metaphors or amusing pop-culture analogies to drive your point home. 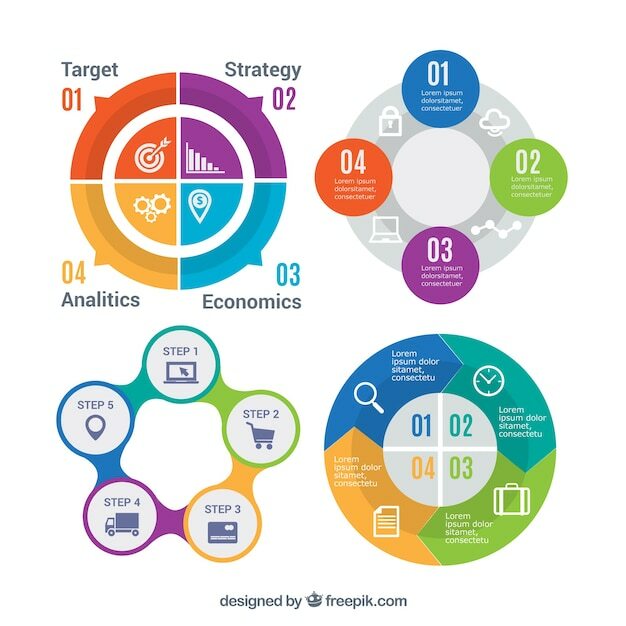 Any way you approach them, infographics are an investment of time and careful consideration that are best dedicated to print publications with a relatively long shelf life and a broad audience, like an annual report. A cool and impressive way to present data is with animation. Here’s an example, explaining fracking, and another about why we like infographics. As you might suspect, doing this well can be labor-intensive, but depending on your situation it may be worth it. PowerPoint comes with relatively usable animation features, with tons of preset animations and some custom options. While animating things like bullet points or slide transitions can be annoying, zooming in on an alarming number or tracking slowly across a trend line can add a little pizzazz to a presentation. Apple’s answer to PowerPoint, Keynote, has many of these features as well. There’s a pretty cool site called Animaker that has infographics as one of its focal areas. A basic account is free, though it does limit you to two minutes in standard definition, with access to just a handful of graphics. We’ve played with it a bit, and it’s pretty intuitive. A bonus feature of both AfterEffects and Motion is that they work great for adding fancy titles and other effects, including 3D effects like particles and realistic shadows, to video (see the intro to this video from Ripon College. If AE looks intimidating, there are tons of free tutorials out there, like the excellent ones from Video Copilot (which also include some great plugins). Many companies, like Video Blocks, also offer AE templates as part of their inexpensive subscription, along with a massive catalog of stock footage and production music, all royalty-free. These are big right now, and probably will be for some time. They’re small files with very short, simple animations (usually just a few seconds each) or just a few seconds of video converted to GIF or MP4. Giphy has tons of examples of what this looks like. Photoshop is the most powerful way to create these little files, if you learn how. There also are tons of web-based apps, which is where a lot of memes ultimately come from. To this point, some social media, notably Facebook, had eschewed animated GIFs but they could not swim against the current for long. They’re pretty much ubiquitous now. The problem with GIFs is resolution and color depth; you get just 256 colors and only a few seconds at full resolution before the file becomes too large. But you can make a very short MP4 and upload to social, and it should loop continuously as long as it’s on your news feed.